This tutorial provides a simple instruction of creating SWOT Matrix diagram instantly with easy software. Only a few minutes are required with readily available SWOT shapes and templates. 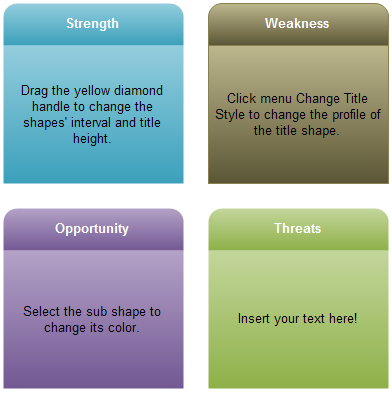 With Edraw's ready-made SWOT Matrix shapes and templates, you can easily create a nice-looking SWOT matrix. 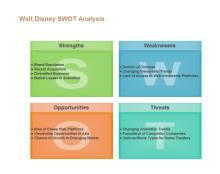 Before mapping out the SWOT matrix, you need to know how to conduct SWOT analysis effectively. 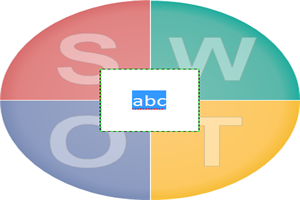 Here are some useful tips on how to do SWOT analysis. 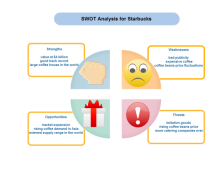 Keep your SWOT analysis concise and clear. Include only the related and necessary details. Consult others for feedback on your business for your SWOT analysis. Ask for input from your employees, suppliers, customers as well as partners. Do the analysis from both macro and microcosmic perspectives. Begin with a specific issue, such as an objective or a problem. Analyze your entire business by dividing it into specific smaller issues which are more manageable and then combine them. Think about your current situation and envision your future prospect. Find out the distance between present reality and future goals. Compare your companies with your competitors objectively. Facing the fact helps to find out effective solutions. While admitting the disadvantages, knowing the advantages is also important. Competitive advantage may include staff expertise, advanced technology and products and services that competitors do not have. When you finish your SWOT analysis, prioritize the factors by listing them in order of the most significant factors that affect your business to the least. You need to allocate different resources on different factors based on their importance degree. 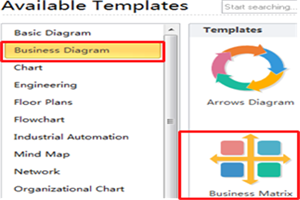 Open Edraw, on the start page find Business Diagram category and double click Business Matrix template to get into the drawing page. 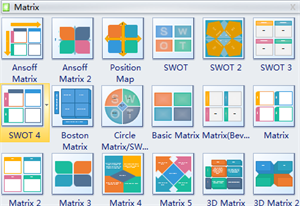 Here are some complete examples of SWOT Matrix Diagrams created by Edraw. On the left of the drawing page, you can find all the shapes and symbols for SWOT Matrix in the library. Some are specialized 3D matrix shapes. 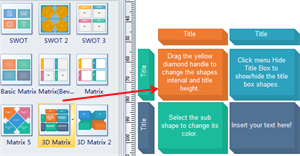 So you can also make 3D SWOT matrix. Learn more about matrix symbols and how to use them. 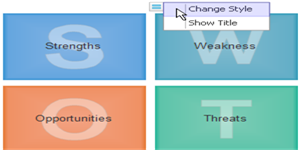 Simply drag a SWOT matrix shape you would like to use from the library, and drop it on the drawing page. Click the shape and you will see a floating button, through which you can change shape/title style or show/hide title. One smart shape can be turned into 3 styles. See more about Edraw's smart shapes. Add text to the shapes labels by double clicking the shapes and typing. 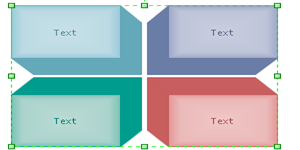 The text boxes are attached with the shapes so they won't separate when shapes are moved. 1. Click the shape, and the green selections handles will show up around the shape. 2. Drag green handles outwards to enlarge the shape. 3. Drag the green handles inwards to decrease shape size. If the shape has titles, you can resize and move them through the yellow control handles. 1. Click the shape, and the yellow control handles will show. 2. 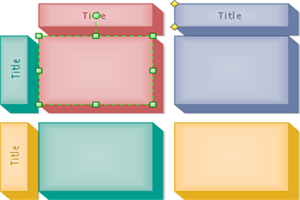 If there are 2 yellow handles, 1 is for resizing the titles and the other for moving them.